This is a frustrating season for Richard J. Wershe, Jr. Not just because it’s Christmas time. It’s because clemency for drug offenses is all the rage at the federal level but nothing of the kind is being done at the state level where he is incarcerated. 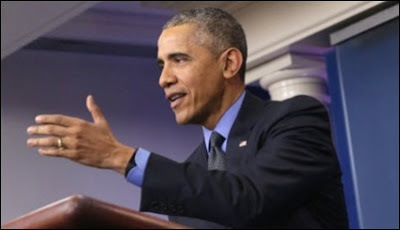 This past Friday President Barack Obama commuted the prison sentences of 95 drug offenders. Rick Wershe, Jr. wasn’t one of them. That’s because he is in a state prison in Michigan. The President doesn’t have any power over state cases. The inmates who got a break from the Oval Office are in federal prisons. This was the largest group of commutations in Obama’s presidency. It is part of his effort to reform the nation’s prison system, to change who stays in and who is set free. The President believes no purpose is served by filling the nation’s prisons with non-violent drug offenders. This isn’t an effort to free-‘em-all. Rather it is about re-thinking who should remain behind bars for years and who deserves a second chance. It’s about letting the punishment fit the crime. In 2013, the most recent year statistics were available, there were 2,220,300 adults incarcerated in US federal and state prisons, and county jails. Thousands of those prisoners are behind bars for non-violent drug convictions. It is costing each American taxpayer a bundle. This is not about “coddling” criminals, especially repeat offenders. There are some people who cannot get along in civilized society. These are the criminal sociopaths and psychopaths. There’s a difference. Sociopaths tend to be volatile and prone to violence at the slightest provocation. A psychopath, on the other hand, tends to be cool, calculating, manipulative and unemotional when committing horrific crimes. Both types usually deserve to be locked up, period. No state Department of Corrections is going to “correct” these criminals. There are many prison inmates who don’t fit these descriptions. Richard J. Wershe, Jr. is one of them. Yet he has been in prison going on 28 years. Rick Wershe, Jr. qualifies on all these points except the first one; he’s a state prisoner. He’s not in a federal penitentiary. If he were, he would have been out years ago under federal sentencing guidelines and parole procedures. One of Rick Wershe’s major problems is his false reputation; the law enforcement concocted myth that he was a drug lord and kingpin. It is a lie that has stuck to him for decades. It is a big reason he is still behind bars. No one wants to release the legendary “White Boy Rick,” the amazing white teen who allegedly bossed around street-hardened adult black criminals and flooded the mean streets of Detroit with as much as 440 pounds of cocaine each month without any of his black competitors wiping him out. That’s the preposterous lie the so-called No Crack Crew of DEA and Detroit Police narcs foisted on the gullible public, reporters and prosecutors. A full evidentiary hearing in to the legend of White Boy Rick would easily dispel the myth but that’s like a crucifix with a garland of garlic around it—good for warding off vampires but also good for warding off judges, prosecutors, attorneys and the political hacks who make up the Michigan Parole Board. Who knows what can of worms a hearing with witnesses, sworn testimony, cross-examination and evidence might open? So Rick Wershe sits in a prison cell, facing another year behind bars for daring to help the FBI prosecute politically-connected drug dealers and influential corrupt cops. The cut-my-taxes crowd is going to shell out about $50 thousand dollars—again for another year—to help the corrupt political machine in Detroit and Wayne County heap retribution on a man a Detroit FBI agent said is arguably the most valuable informant the Detroit FBI has ever had. Hate taxes? Maybe you should start asking Governor Snyder and the Michigan Legislature why they are wasting tax dollars on Richard J. Wershe, Jr.